If you've been thinking that both your snowboard look and your nighttime look could use an upgrade, you're in luck: the 686 Smarty Siren 3-in-1 Snowboard Jacket comes with not one but two different jackets that can be worn alone or together for three different looks. 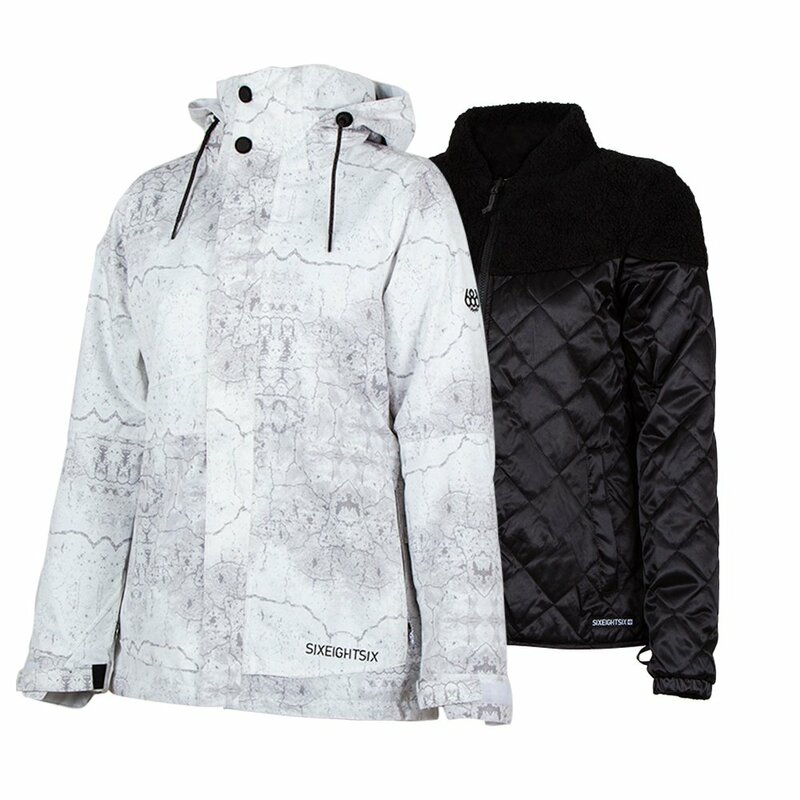 On cold snowboarding days, wear the 20K waterproof outer jacket over the sherpa-insulated, bomber-style inner jacket. Or, if you're dressing for nighttime, rock the jacket alone over jeans for an effortlessly cool winter look. And if warm, spring days are more your thing, wear the outer jacket on its own. The Smarty Siren 3-in-1 Jacket comes loaded with snowboard-ready features like an attached powder skirt, thumb cuffs, media and goggle pockets, and an adjustable oversized hood. This jacket comes with a detachable bomber-style jacket to wear as a lining or on its own. A 20K waterproofing rating offers the highest levels of protection in very heavy storms. The outer jacket has two front pockets, plus separate pockets for your goggles, season pass, and phone/media.